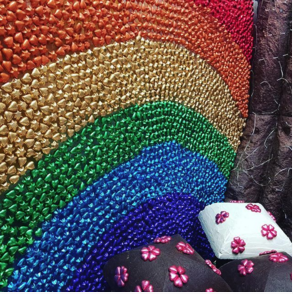 This world first was unveiled at Westfield Marion (SA) on September 28th and opened over a week for chocolate lovers of all ages to enjoy. 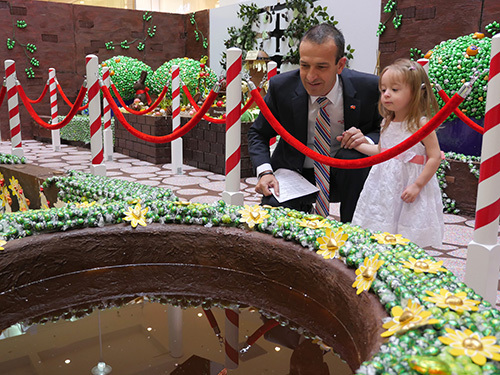 Officially opened by the adorable Lola, Cora Barclay Ambassador for Westfield Marion, with the assistance of the Honorable Tony Piccolo MP, Minister for Disability, the unveiling was met with gasps of awe and lots of big sniffs as the smell of chocolate in the air was delicious! With our friends from all our major partners, Sophie Thomson, Lindt, Chocolatier Australia, Bracegirdle’s, Westfield Marion, Cora Barclay Centre, plus build counterparts Arketype, and our resident videographer Cool Hand Luke Media. 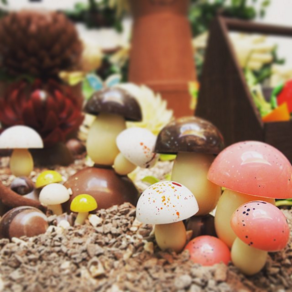 Both media, family and friends were invited to join the celebration of the Chocolate Garden launch, to see the months of hard work pay off and the entire team together to witness the garden brought to life. 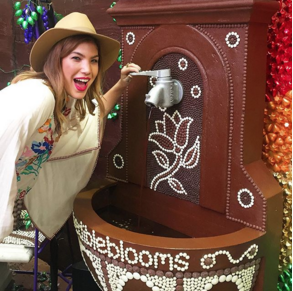 The full scale, Edible Blooms walkthrough Chocolate Garden was a World First and the heavenly smell alone set the hearts and imaginations racing of thousands of guests as they wondered through the chocolate wonderland. Regular comments came from all ages offering assistance with “packing up” or “consuming” the garden when it was time to close. Further questions in regards to build times gave the visitors another level of appreciation to the experience they were enjoying. 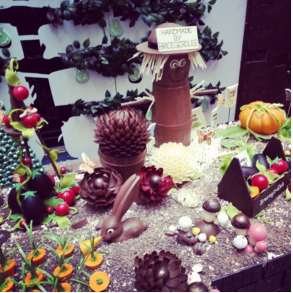 There were lots of amazed looks on little faces, hardly believing that the entire 10 x 6m garden was indeed all built with chocolate. 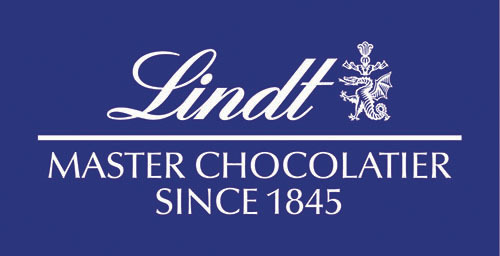 And we had plenty of ‘sticky’ fingers whose parents handed to us Lindt Lindor ball after Lindt Lindor ball and the occasional confiscated chocolate frog from the pond. 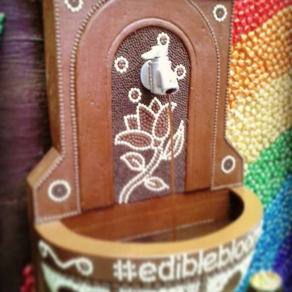 We even had a few children lick the wall to prove, if only to themselves, that it really was Chocolate!! Oh and an adorable guide dog in training who clearly could no longer help himself and also partook in a quick wall lick! 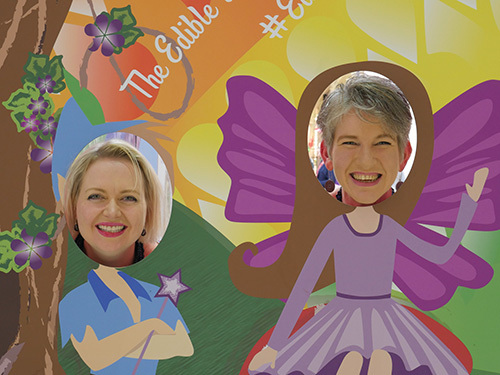 With over 200 hours put into the building of The Edible Blooms Chocolate Garden, and 8 hours to bring to life with 15 volunteers, we are pleased to report the success of the consumer engagement experience which marked the celebration of 10 years of Edible Blooms, and raised both community awareness and funds of almost AU $13.00 000 for our chosen charity – the Cora Barclay Centre. 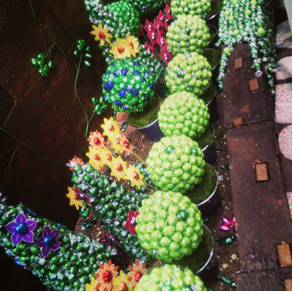 Take another visit to the Edible Blooms Chocolate garden and don’t forget to follow us on social media to find out what we're up to next!